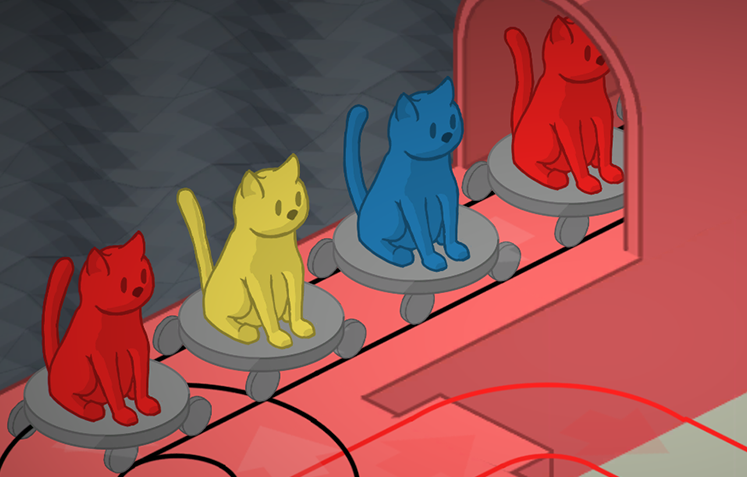 With that pressing anxiety settled, development on The Cat Machine has progressed at a steady pace, increasing the number of cats in-game to over fifty levels worth. Play-testing the game has been an interesting experience, whilst the early levels are straight-forward enough, some late stage ones have earned themselves the rating of "very tricky" and have taken some hours to complete for certain players. As far as I understand it, many game developers spend years of their lives working on games that centre around grim men with guns shooting other grim men who have guns. Sometimes there's a voice-over where someone with a deep voice mutters about 'consequences in war', in order to give the appearance that the developers have approached the subject with any amount of sensitivity or thought, before the six hours of grim-men-shooting commences. 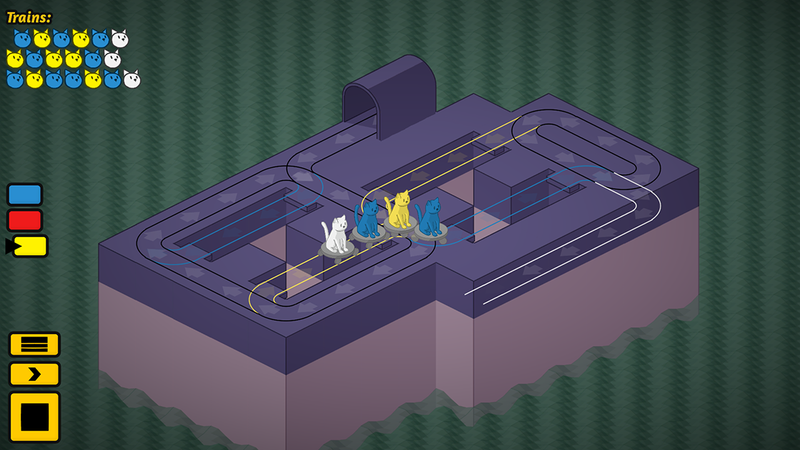 On the other hand, I've spent the past however many months writing a game about cats on trains. This, it turns out, is a far more pleasant development experience. 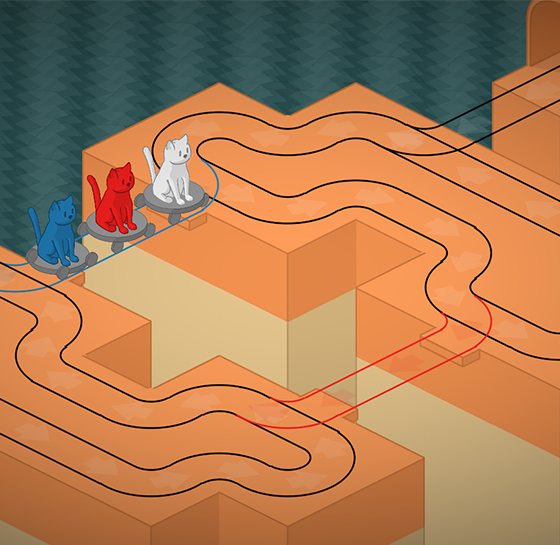 I could watch cats riding trains around for hours, and during the development of this game, I definitely have. So today, please spare a thought for the poor intern working crunch-time at some AAA studio, whose only role on a game project is to texture lamp-posts for the next middle-eastern FPS. Development is moving into the final polishing phase, which includes fixing bugs, smoothing the rough edges, and increasing the number of cats dotted around the levels. "Increase Total Cat Count" has been part of every development phase, and soon we shall be reaching 'peak cat', a stage that economists have long described as 'delightful'. 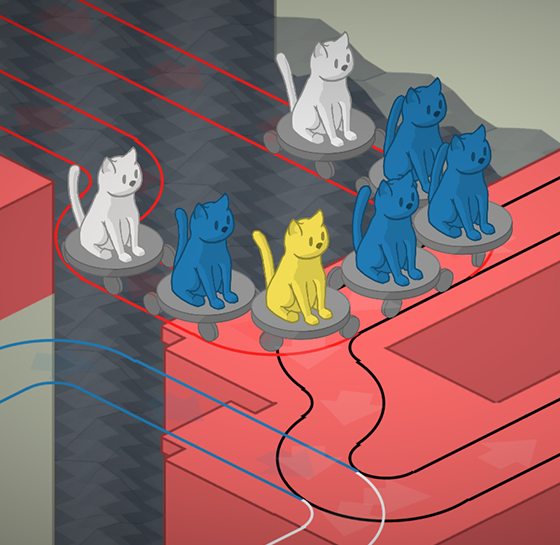 The Cat Machine is going to be released really very soon, so to follow along with development, follow @MattLuard on Twitter.